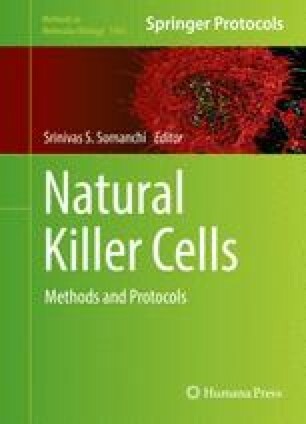 In order to assess the biodistribution, homing, and persistence of adoptively transferred natural killer (NK) cell immunotherapies, there is a need for imaging methodology suitable for use in preclinical studies with relevance to clinical translation. Amongst the available approaches, 19F-MRI is very appealing for in vivo imaging due to the absence of background signal, enabling clear detection of 19F labeled cells in vivo. Here we describe a methodology for in vivo imaging of adoptively transferred NK cells labeled with 19F nano-emulsion, using clinically translatable technology of 19F/1H magnetic resonance imaging. This work was supported in part by funding from the Addis Faith Foundation to VG, CURE Childhood Cancer funding to DAL, and by MD Anderson Cancer Center’s Core Grant (P30-CA016672).